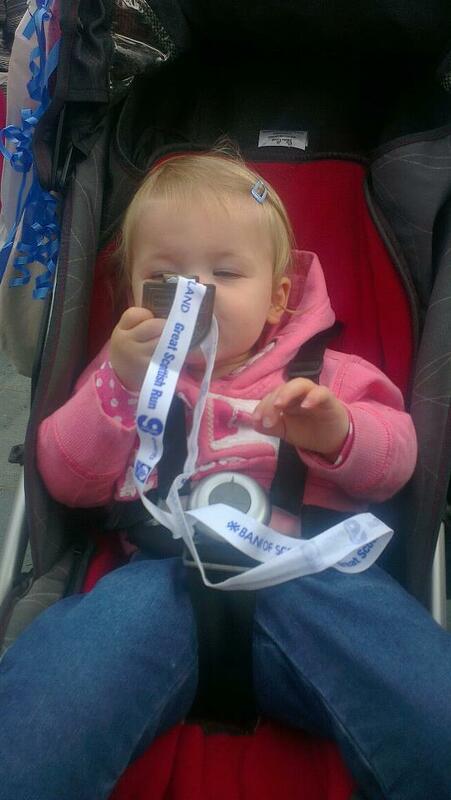 Back in 1993, I ran a half marathon – that’s 13.1 miles don’t you know. From memory (it was a long time ago!) I finished in about 2 hours and 8 minutes, not bad I thought, but I definitely remember being harangued at the finish line by folk handing out running magazines, who were busy telling everyone they should have been at least 10 minutes quicker, and that a subscription to their magazine would help us to shave that time off. Nothing like letting us bask in the glory, eh? Pleased to have finished, and in a fairly respectable time (middle third, based on this year’s results) I said I’d be back to do it again. 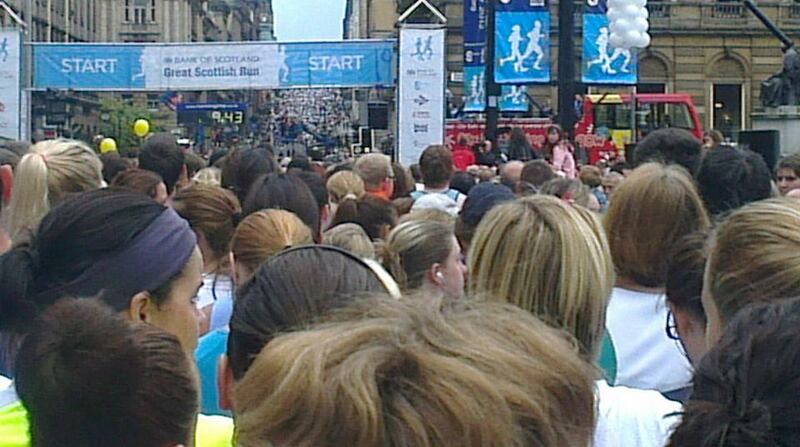 Well, 19 years later, I’ve finally made my return to the Great Scottish Run, albeit running in the shorter 10k event. And about time too! 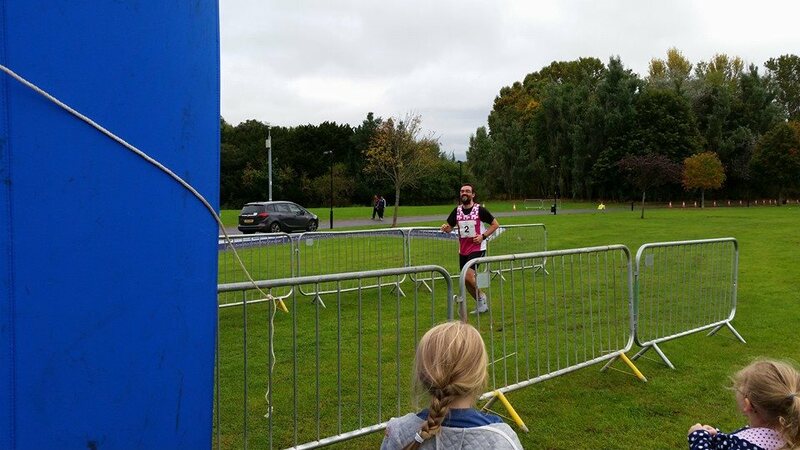 Sunday was the big day, and I’m pleased to say that not only did I finish the race, I did it in an official time of 51 minutes and 30 seconds, which was as good as I’d dared hope for, and better than the 55 minutes or so I was more realistically expecting. And the 60-65 minutes I’d guessed at when I filled in the entry form just a few short weeks before. 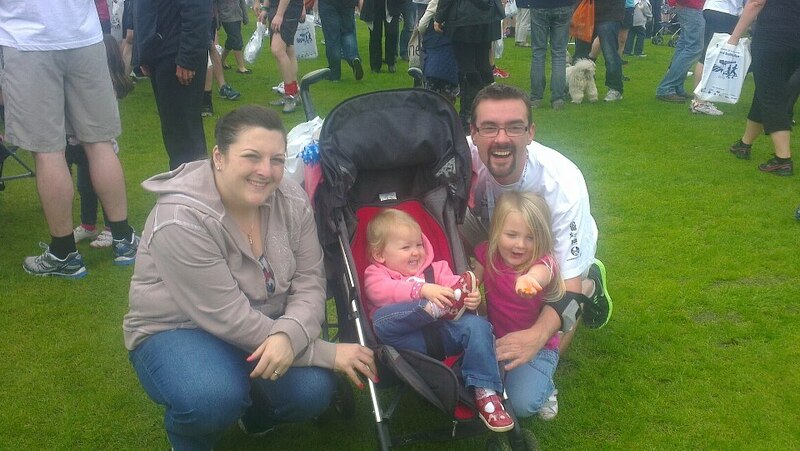 My whole family were at the finish line to cheer me on, which just made the great feeling even better. And later on there was beer and ice cream too – all in all it was pretty much a perfect day! So… 19 years between races… distance halved each time… my next race will be a 5k in 2031, yes? No chance – I’ve caught the bug now. What started back at Easter as a way to burn off some extra calories has now turned into a genuine hobby, something which I’ve grown to enjoy, and something I’ll keep doing for a long time to come. I’ve already started looking for the next race, in spring/early summer 2013, with early candidates being Edinburgh, Lincoln and Hull. 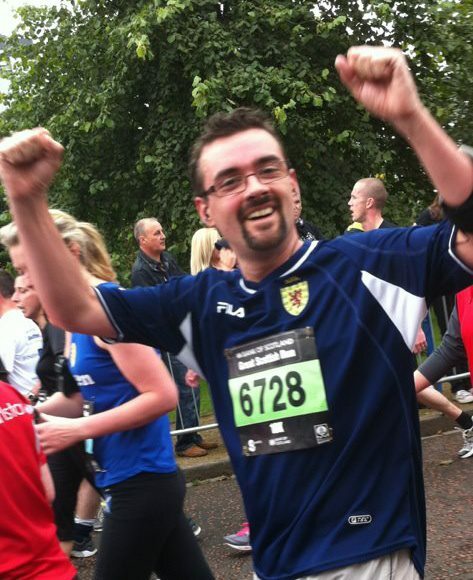 I’ll also be back at the Great Scottish Run to hopefully smash this year’s time into little pieces. Or something like that. 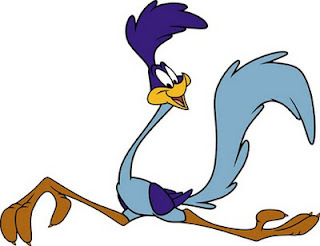 There is, of course, a big part of me that’s keen to step things up, and go for the half marathon again – after all, I’ve done it once so why can’t I do it again? The sensible part of me knows, though, that I’m no longer 17, and my knees are DEFINITELY no longer 17, so I’m going to stick with 10k races for the time being. But longer term my sights are definitely on eclipsing my youthful self, and maybe 2014 is the year to do it. With the Commonwealth Games coming to town that year, I expect the Great Scottish Run will be an even bigger occasion than it already is, so what better time to step up to the next level? Assuming my knees haven’t buckled by then, of course. EDIT: It occurred to me last night that I didn’t explain this post’s title, and it probably won’t be recognisable to most. It’s the opening line to a song, A’s “The Distance“, which came blasting into my ears at about 7k into Sunday’s race, just when I wanted to pick up the pace. Perfect timing, because it was an ideal song to help me do just that. So thanks A! As well as being more careful about what we eat, both me and Gem have got off the couch and started exercising on a regular basis, something neither of us have done for aaaaaages. Back in January, we started out on Wii Fit, which was a fantastic starting point – nice, easy, gentle exercise to start using muscles that haven’t been used in a very long time. Focusing on the aerobic exercises, it wasn’t long before we could see a difference, on the scales, on the measuring tape, and, perhaps more importantly, in how out of breath and sweaty we were at the end of a workout. One of the great things about Wii Fit is that the more you use it the more exercises and levels you unlock – something that keeps you coming back for more. To an extent, it also stops you trying to do too much too soon, something that’s liable to result in an injury and put you off entirely. We both knew, though, that Wii Fit wasn’t going to be the be all and end all of our new lifestyle, and that sooner or later we’d more on to other things. We’ve now replaced Wii Fit with Zumba Fitness 2 two times a week, and are working our way through the various levels that offers. Again, it’s a really nice feeling when you start to find the routines less taxing than when you started, and can start to add in more challenging ones. Still plenty of mileage left there. 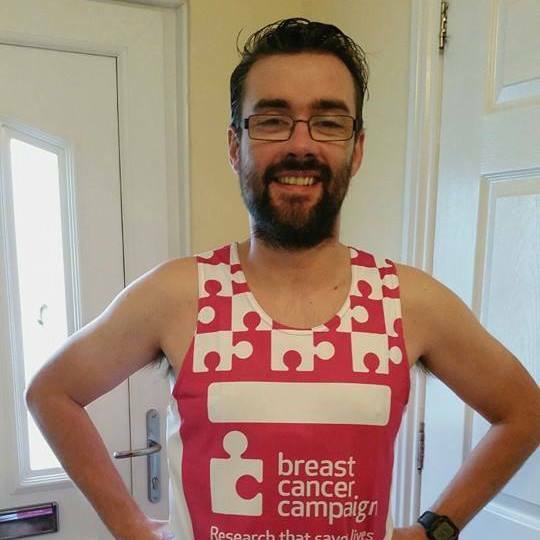 I’ve also started running, and am pleased to say that I’ve just signed up for my first ever 10k race, at this year’s Great Scottish Run. Half a lifetime ago, when I was young and took my fitness for granted, I ran the GSR half marathon, and maybe one day I’ll manage that again, but one step at a time, right? Let’s see how I get on with the 10k first. Currently I’m running two or three times a week, and trying to add distance each week. At the moment, the furthest I’ve run is 6.4km, which is almost two thirds of the distance I’m aiming to cover in 4 weeks time. I’m slightly ahead of the training schedule I devised for myself though, so I’m confident I’ll be able to complete the race and get my first (well second, if you count the one from 18 years ago) medal. After that, who knows? I’m getting a real buzz out of running at the moment, and I hope that doesn’t disappear once the challenge of completing the race has gone and I’ve got nothing to aim for. I don’t think it will, but if it does, there are plenty of other races out there to be entered, right?